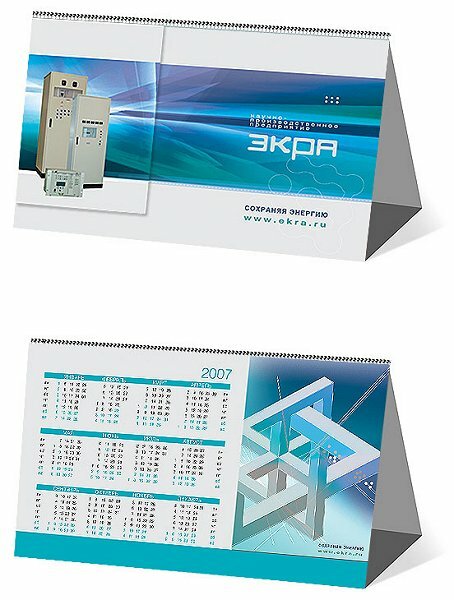 A calendar on 2007 with impossible figure was designed for Russian power protection compane EKRA by advertising company Pilot. They designed several modifications of calendar. Two of them you can see below.